"On paper, the pairing made me cringe: Squeaky-clean Quebec chanteuse Celine Dion performing a song written and produced by Meat Loaf collaborator Jim Steinman. Yet that album-opening song, It's All Coming Back To Me Now, is undoubtedly the highlight of her English-language recording career. Dion's over-the-top vocals soar and swoop around Steinman's epic, ostentatious arrangement. Not surprisingly, everything else that follows...pales in comparison." "...this album started off with Phil Spector at the helm - an experience harrowing enough to have the results shelved, sending the legendary producer scurrying back into deep seclusion, grumbling something about the ham-handed morons running Celine's career. 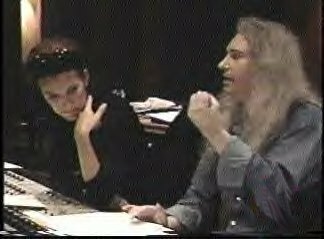 And yet, the final product couldn't kick off with anything less idiosyncratic than It's All Coming Back To Me Now - seven minutes and 37 seconds written by Jim Steinman, whose fatal absence from the last Meat Loaf record is finally justified here. Now it's Celine who's been anointed most suitable to bring such splendiferous bombast to the masses - and when she finally runs out of breath, whatever 'it' is still hasn't finished coming back. (The rest of the album) pales in comparison to the three Steinman tracks. Given the chance to tackle Spector's most ambitious opus River Deep, Mountain High, it comes off like a jungle-techno ditty with the pitch control on the fritz, at once optimistic and apocalyptic. This is the sound of the Wall of sound being chipped away once and for all..."
"(Dion) gets swept away in Steinman's It's All Coming Back To Me Now, taking listeners along. Dion and Steinman - apparently a brave pair - also do their rendition of Ike and Tina Turner's mini-rock opera, River Deep, Mountain High." "Her powerful performance on Jim Steinman's lengthy It's All Coming Back To Me Now is on par with Bonnie Tyler's on another Steinman classic, Total Eclipse Of The Heart." "Dion knocks a couple out of the ballpark. 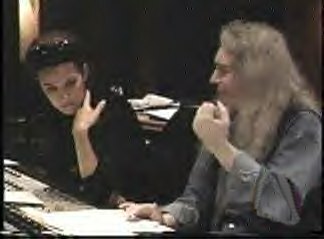 Jim Steinman's It's All Coming Back To Me Now features seven minutes of Wagnerian bombast, thunderclap piano chords and emoting that would wither an opera diva. Sure, it's over-the-top but it's passionate and musical." "...by the time they're (the producers) done molding the chanteuse into a Madonna-meets-Meat Loaf vocal freak, there's little left of Dion's delicate voice. Lead track, It's All Coming Back To Me Now, penned by Meat Loaf collaborator Steinman blows big wind for more than seven minutes. Intensely self-indulgent, pompously self-important and mediocre beyond belief, the song just never ends..."
"It's All Coming Back To Me Now is little more than a showcase for the cloying bombast of songwriter Jim Steinman, and Dion's version of Ike and Tina Turner's Phil Spector-produced classic River Deep, Mountain High is as calculated and overblown as a campaign speech." "Check out the opening track, a turgid seven and a half minute collaboration with Meat Loaf's partner, producer/songwriter Jim Steinman...and a horridly overwrought River Deep, Mountain High." "Jim Steinman (of Meat Loaf renown) gives it three miserable tries. The instrumentation on his tracks sound cheesy, the arrangements uninspired, tossing in everything but the kitchen sink, and Dion, especially on the wretched cover of the Phil Spector/Tina Turner classic River Deep, Mountain High sounds lost." "Falling Into You starts with a Jim Steinman song, It's All Coming Back To Me Now, which is a worrying indication that Dion might be more attracted to velvet painting than art." "Steinman's It's All Coming Back To Me Now, sounds like a Meat Loaf reject..."